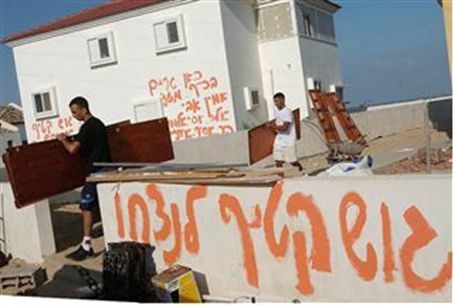 Gush Katif refugees to receive negotiated final compensation. No payment can make up for the suffering, but it is a much improved package. For better or worse, Gush Katif refugees are to receive their final compensation payments, after the Knesset Finance Committee approved NIS 400 million in additional compensation for families that were forcibly removed from their homes six years ago in the disastrous 'disengagement', aka expulsion. The payments are further proof of how these peaceful, productive Israeli citizens were trampled upon by then-PM Ariel Sharon and his government. The money represents additional payments authorized after a special investigative committee determined that the original payments authorized for the refugees – especially business owners and farmers – were far from enough to allow them to make a new start. In addition, money that was awarded to families was found to be far too little to even allow them to build a new home. The investigative committee, headed by Science Minister Daniel Hershkowitz (Jewish Home), quickly drew up new legislation to increase the payments to refugees. The bill passed on its first reading, and negotiations took place over the past year between representatives of the refugees and the Treasury. The NIS 400 million represents the final sum negotiated between the two sides, with the consent of representatives of the refugees (represented in the negotiations by the Tnufa administration, headed by Bentzi Lieberman) and Treasury officials. In return for their agreement, however, Treasury officials demanded that refugees promise not to seek more compensation in the future. The officials demanded that the heads of all 13 towns and villages in Gush Katif agree to this stipulation – and after that agreement did the Treasury give its consent to the deal. Under the terms of the deal, the 1,200 (close to 10,000 people) families evicted from the homes they owned in Gush Katif would receive an additional NIS 40,000 to NIS 180,000 for the purchase or construction of a new house. A large portion of the NIS 400 million has been set aside for grants for business owners who did not receive sufficient compensation. And farmers who have not yet been given land will receive either NIS 400,000 as a lump sum compensation, or a pension of NIS 3,400 per month for 13 years – or, be given the option to purchase land. Savings were used up over the last six years, as so many refugees were unemployed.